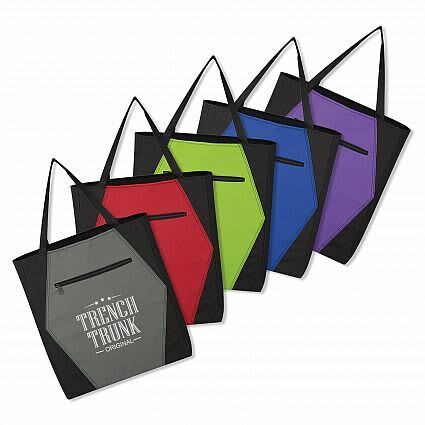 Promotional Tote Bags can be attractive, functional and practical. Our geo two tone tote bag has an attractive, coloured geometric pattern and a zippered pocket on the front. 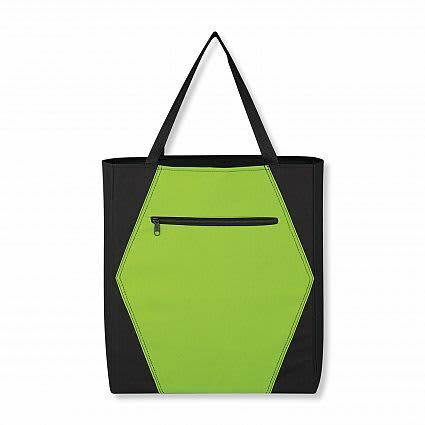 Great for keys, printed materials or small items. 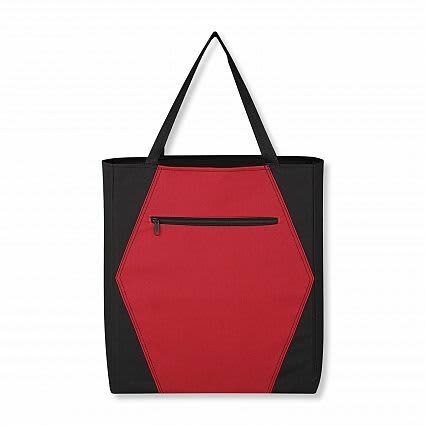 Manufactured from robust 600D polyester with strong woven handles this bag will carry anything it can carry. Grey, Red, Lime Green, Blue, Purple. W 355mm x H 419mm x 228mm. Screen Print 152mm x 229mm. Digital Transfer 152mm x 229mm.